You can earn cash back for purchasing groceries through apps like iBotta, Checkout 51, Yaarlo, and Mobisave. To learn all about my favorite cash back apps, sign up for my free 5-day series on how to make and save money with your smartphone. I’ve been able to download some great educational apps for my kids through these links and it’s provided lots of free entertainment for my kids! You can earn free gift cards from Swagbacks by watching videos on your phone through their apps. I like to just have these playing in the background while I’m working on the computer or doing other projects. 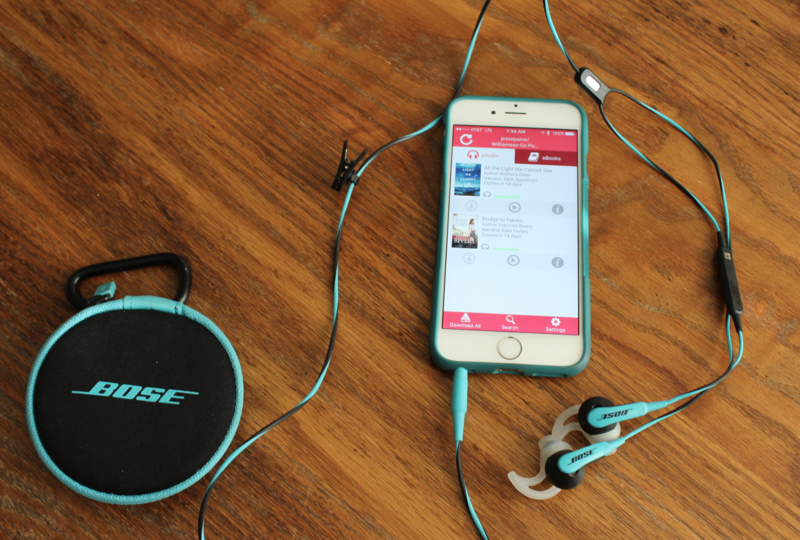 Before you look anywhere else, RUN to your library’s website and see what they offer as far as audiobook apps go. Many libraries offer amazing apps like Overdrive, Hoopla, or OneClickDigital — for FREE! You can download brand-new releases, old classics, and just about everything in between through these apps. You can even download magazines! And did I mention that it’s all FREE?? You just download the app, link it to your library card, and then go in and request which books you’re interested in. If the book isn’t available right away, you can put a hold on it and they’ll send you an email when it’s available. Read about 8 ways to get audiobooks for free here. Redbox often offers text coupons for free movie rentals. (Text SIGNUP to 727272 to be added to their text offers list.) Many of these free movie rentals can only be redeemed through the Redbox app. They also run different specials where you can buy one get one free or get half-priced rentals. This can make for a free or cheap at-home date night! As you probably know if you read here regularly, there are hundreds of free ebooks offered daily on Amazon. We often post a round-up of some of the best free ebooks we find. I’ve had many people tell me they skip over the free ebook posts because they don’t have a Kindle or other e-reader to read the ebooks on. Well, guess what? I don’t have one either! A lot of people don’t know that you don’t need a Kindle or other e-reader to be able to download the free ebooks offered on Amazon. All you need is to simply download the free Kindle Reading App to any mobile device (phone, iPad, etc.) or even your laptop or desktop computer! 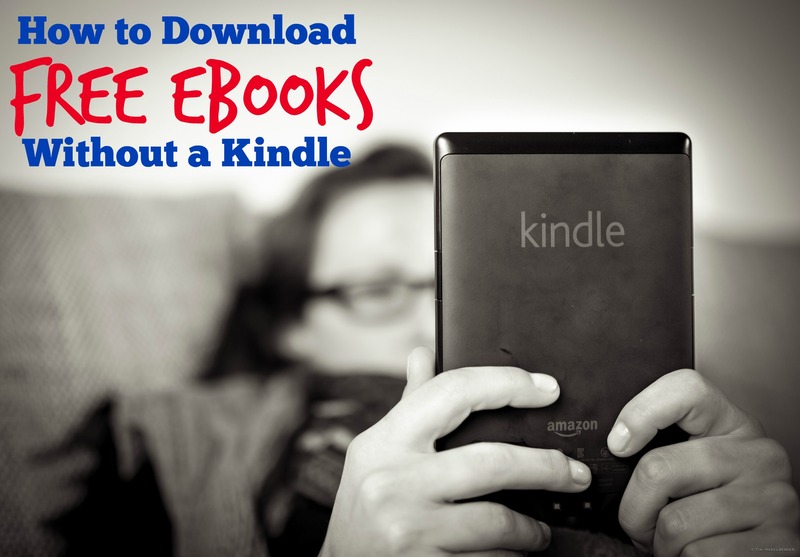 Go here for all the details on how to download free ebooks without a Kindle. 7. Listen to Music for Free. Amazon offers ad-free streaming music service for FREE to everyone who has a Prime account. You can listen to Prime Music on any mobile or desktop device through the Prime Music app. We absolutely LOVE this app and use it multiple times every single day! Amazon Prime Music offers: Customized playlists and music library created by you, expert-programmed playlists to discover and enjoy, ad-free with unlimited skips, playbacks, and repeats, Prime Music stations, the ability to play music anywhere from any device, and the ability to download music to your device if you will be without Internet connection. If you’re not currently using Prime Music and you have an Amazon Prime Account, definitely check this out! How do YOU use your phone to save money? Tell us in the comments! I use the Walmart savings catcher since that’s where I grocery shop. I probably get $5 month or so just by taking a picture of that scanny-thinging (!) at the bottom of my receipt each week using their app. I joined Ibotta yesterday and Checkout 51 today. In about 30-45 minutes, which I’m sure is due to a learning curve, I earned about $17 which is more than I make for an hour of work. I’ve hemmed and hawed for months about the hassle I’d have to endure to save a few pennies. Now I’m kicking myself!!! WOOHOO!!! That makes me SO happy!